The best teacher's gift ideas are the ones that have a personal touch, like this Wrapped Lollipop Teacher's Gift. Kids can customize this simple homemade gift to look just like their favorite teacher. 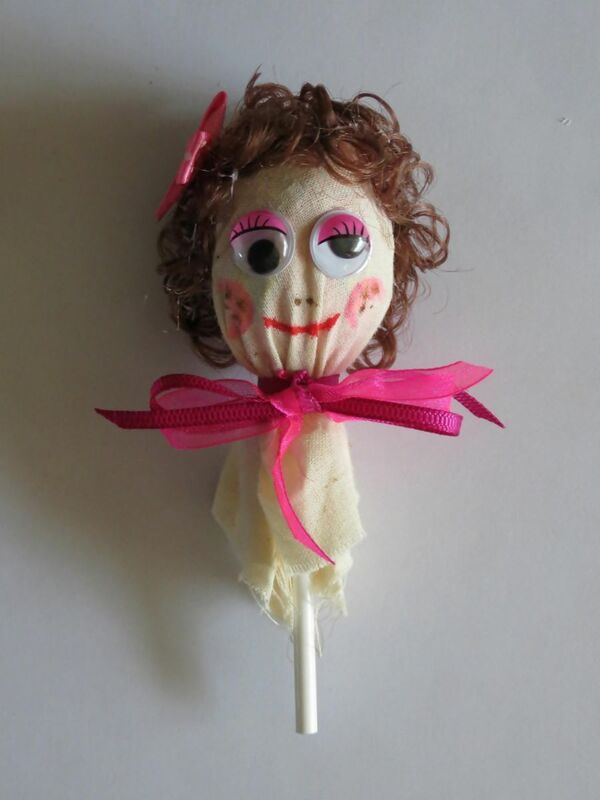 You can even modify the Wrapped Lollipop Teacher's Gift by changing the colors or drawing different facial expressions. In no time at all, your child will have the ideal gift to thank a teacher for a job well done. This homemade gift idea can also be used as a gift for a friend, or as a homemade party favor for sleepovers or birthday parties. 1. 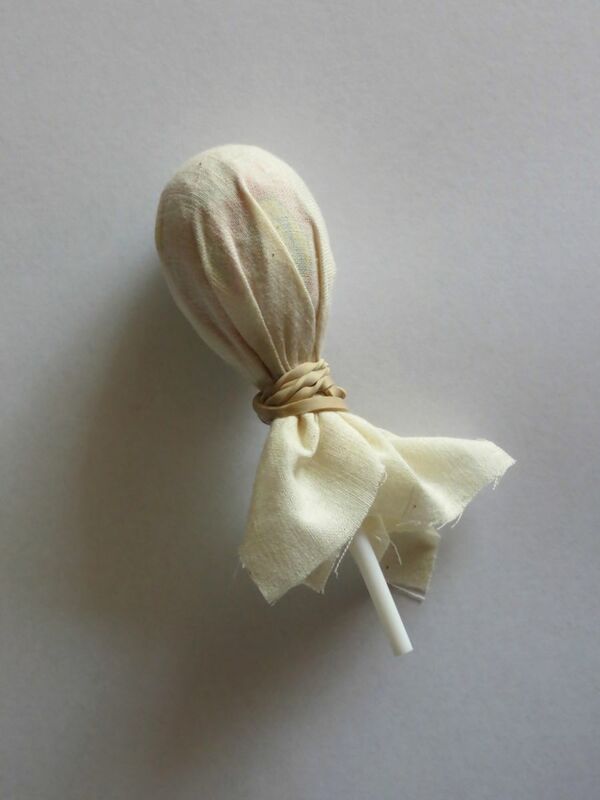 Place the lollipop into the centre of the unbleached linen square and wrap it up. 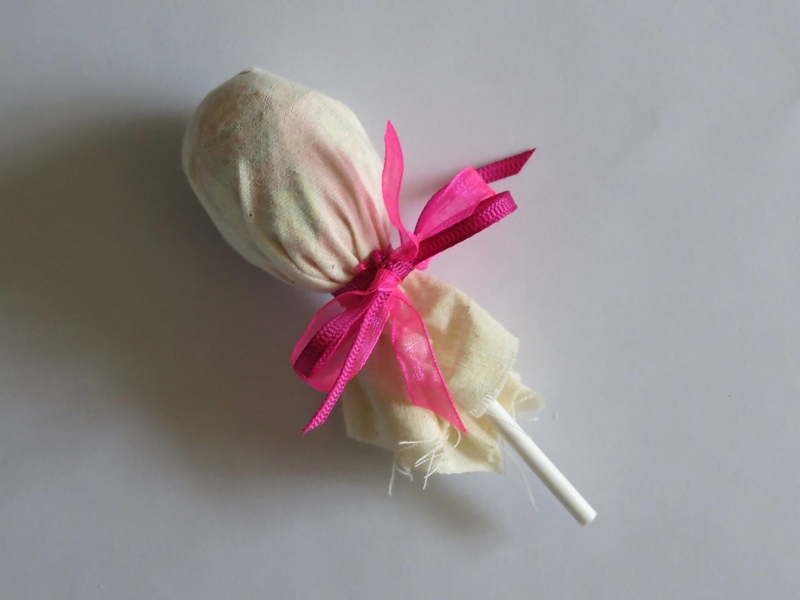 Use the elastic rubber band to secure the fabric around the lollipop. 2. Tie the two ribbons tightly around the bottom of the lollipop. Make a knot with each ribbon and then make a neat bow with each. Cut off the ends of the ribbons and add a small drop of glue to the knots of the bow, so that the bows won't come loose. 3. Cut off the elastic band, making sure not to snip into the ribbons. If necessary, cut the ends of the fabric a bit shorter. 4. 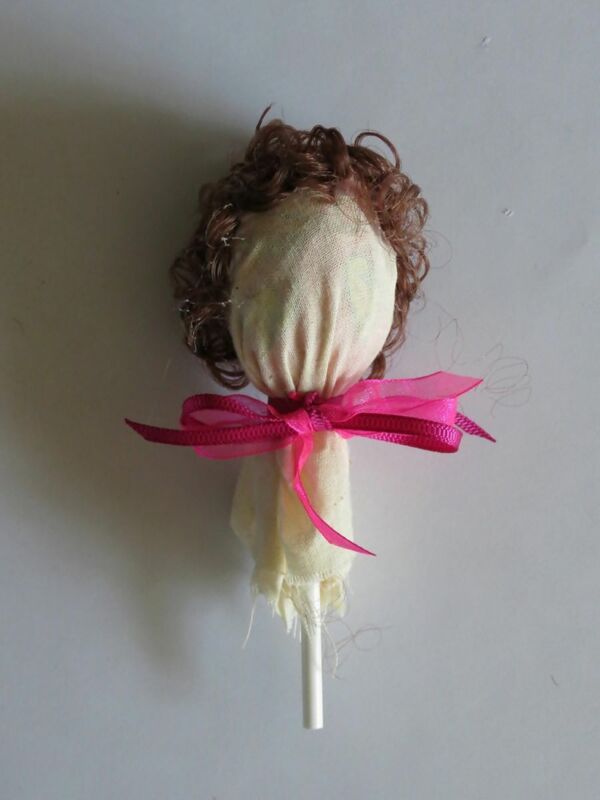 Glue strips of doll hair to the back and sides of the lollipop to add some hair. 5. Glue the small fabric bow onto the left side of the hair and glue the eyes in place. 6. Use the fabric markers to add a mouth, nose and rosy cheeks. 7. Add a bit of soil to the flower pot and then push the stick of the lollipop into the soil. 8. 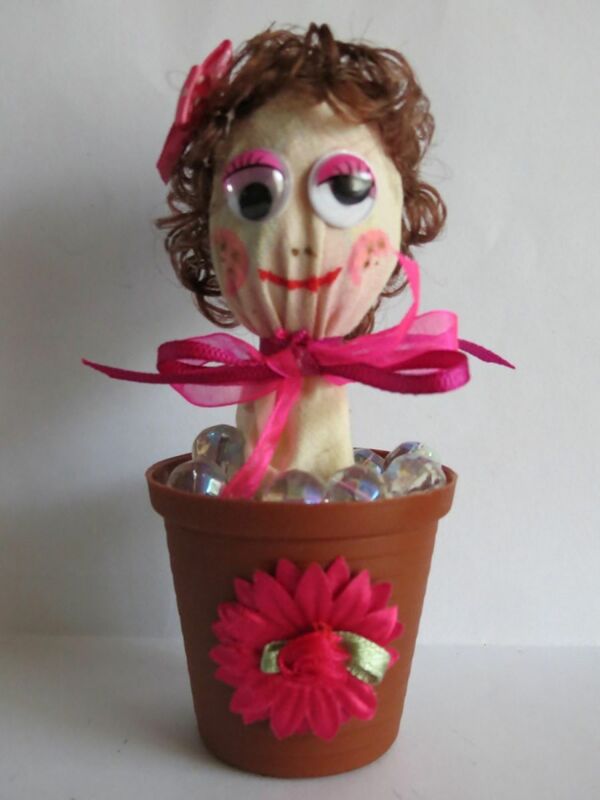 Fill the rest of the pot with the glass beads and decorate the flower pot with ribbon.